Outdoorphoto constantly receives numerous second-hand camera lenses from all your trusted brands such as Canon, Nikon, Fujifilm and more. All of the second-hand lenses we receive are scrutinised and quality tested to ensure you buy a high-calibre product. In the event that the lens doesn’t have a factory warranty anymore, we here at Outdoorphoto provide you with a 6-month warranty for any second-hand digital camera lens that you purchase from us. 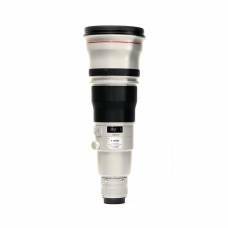 Each and every pre-owned lens is photographed and the images are provided as is, giving you a clear idea of what you are investing in. Are you looking for specific used camera lenses? Contact us and one of our trusted sales consultants will let you know as soon as the pre-owned lens you require becomes available. Trust Outdoorphoto to always provide you with reliable products.